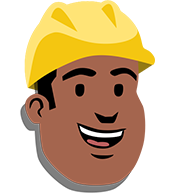 YOUR CONSTRUCTION SKILLS ARE NEEDED! 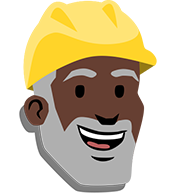 Join the construction team as we attempt to quickly build bridges for the frantic, newly elected mayor. It’s going to be an all out blitz to build these bridges. HOW WILL YOUR BRIDGE LOOK AT THE END? 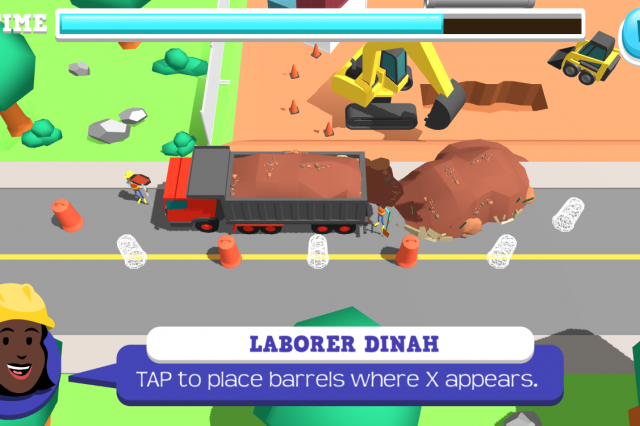 Take a peek at over 20 microgames that bring it all together. 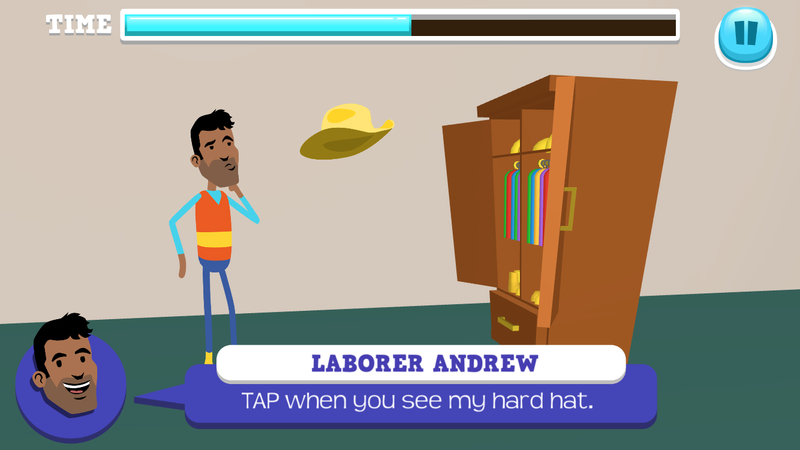 Help Laborer Andrew find his hard hat! 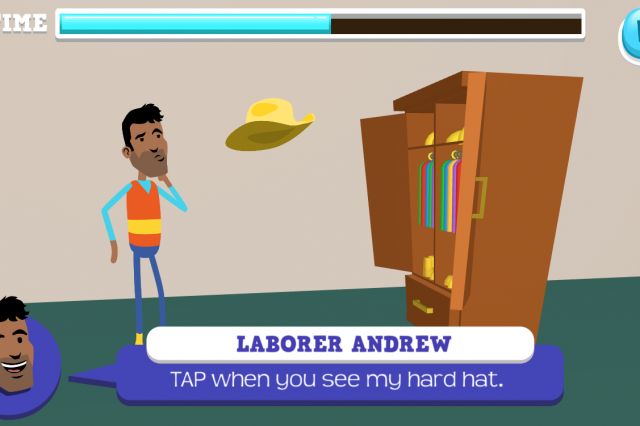 Tap on the correct head equipment as it flies out of the dresser. How will traffic flow without cones? 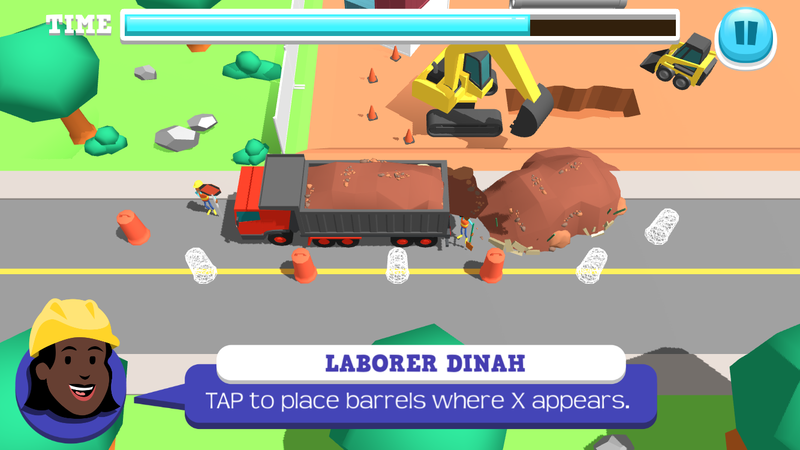 Help Laborer Dinah correctly position the barrels. Put the barrels in the right place to help traffic flow safely around the construction site. We got to hold this up somehow! 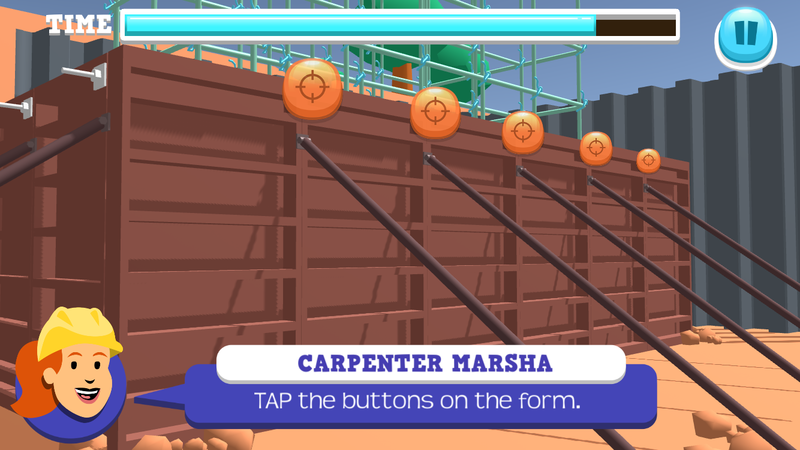 Assist Carpenter Marsha with securing the form. Lock the structure into place to create a solid foundation for the bridge. Build steel forms that hold concrete together to form supports, bridges and more. Design the trusses that support the bridge from above and plan traffic control patterns. 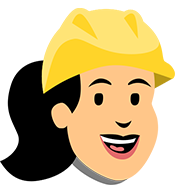 Work in every phase of the construction project including traffic control, tying rebar and road grading. Use cranes to help lift big or heavy loads and lower them in place to form a bridge. 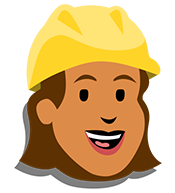 Learn about the various construction trades and what goes into a highway construction project by wearing different hats as a carpenter, engineer, laborer, and operator. The games get faster as you get further. See how your bridge looks at the end of each game. The better you do, the nicer your bridge turns out. From learning how traffic flows, to placing beams, you will become a highway construction professional in no time. 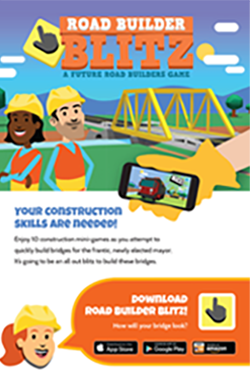 Get the word out to your students about Road Builder Blitz. 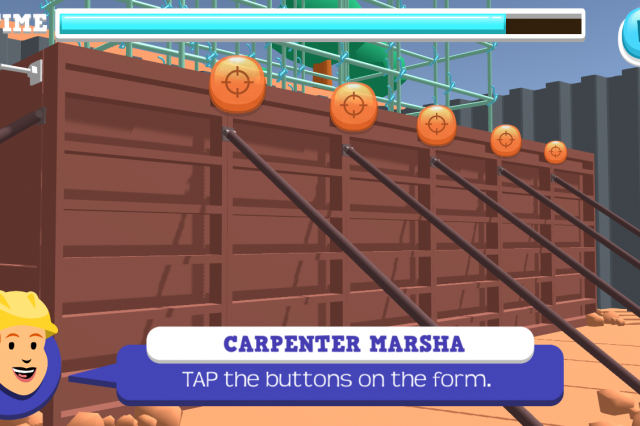 Help students discover their strengths through games that cover needed skills and aptitudes including problem-solving, logic and hand-eye coordination. Download our flyer and share it with other teachers to further help students discover untapped talent. For additional assistance, please contact marketing@simcoachgames.com.